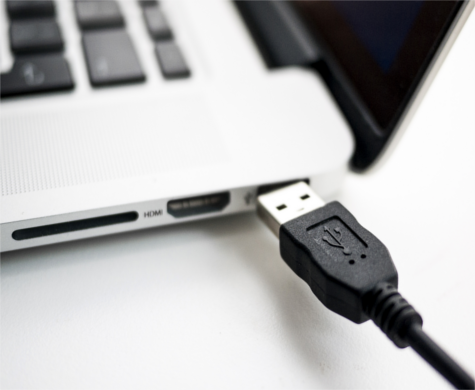 At least 1,000 government laptops, computers and USB flash drives have been reported lost or stolen since the general election in May 2015, according to official figures. Equipment went missing from the Ministry of Defence (MoD) at an average rate of more than one a day, according to records obtained under freedom of information (FoI) laws. Overall, the losses across government are likely to be much higher as a number of departments used legal technicalities to refuse to release the information. Campaigners said the reasons being used by Whitehall to avoid answering the FoI requests were “stretching credibility to well beyond its snapping point”. Most of the departments that did disclose information about missing items refused to say if they contained sensitive or confidential information. The MoD recorded 759 laptops and computers as being lost and 32 stolen as well as 328 lost CDs, DVDs and USB drives up to October, records released under the Freedom of Information Act revealed. It has launched a probe into the losses, suggesting a suspected accountancy error could lead to a significant reduction in the figures. The Department for Work and Pensions, which administers the state pension and a range of benefits for more than 22 million people, reported 42 missing laptops or computers and eight USB drives up to August. DWP officials said most of the losses and thefts “occurred in home/office break-ins and whilst travelling” and all its laptops are encrypted. The newly created Department for Business, Energy and Industrial strategy had six laptops lost or stolen since it was set up in July. Figures released by the Department for Environment, Food and Rural Affairs showed 12 laptops were missing while seven were recorded as lost or stolen by the Department for Transport. The Treasury recorded eight missing laptops and one missing flash drive since the general election but one of the computers was recovered. At the Department for International Development, one laptop was lost and 26 were stolen, including one that contained sensitive information. The Home Office would only point to figures for 2015 showing it recorded one lost laptop and two stolen ones, adding that it would not release later figures because they were planned for publication at some point in the future. A number of departments refused to give details about the number of losses and thefts by using a clause of the FoI Act to claim the information is exempt from disclosure. They said releasing the numbers or revealing whether lost or stolen equipment contained sensitive information would be useful to criminals. The Department for Culture, Media and Sport (DCMS) and the Department for Education (DfE), along with the Ministry of Justice, Department for Communities and Local Government, Department of Health and Cabinet Office used the exemption. DfE officials refused to even say if the department held records about missing equipment, claiming that confirming such information “could encourage continued theft”. The DCMS said it could not reveal whether any sensitive information had been lost because it could be “useful information to an adversary”. Frankel said the DfE’s refusal to even acknowledge if it held the information was “complete nonsense”. “They have had a common sense by-pass here,” he added.